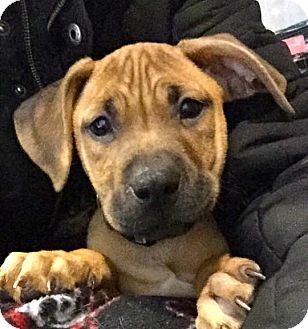 Dasher is a 3-month-old Boxer mix who along with his brother & sister were rescued from a high kill shelter. He’s a very sweet boy and just needs a family to call his very own. If you think this is the puppy for you, please give him a chance!